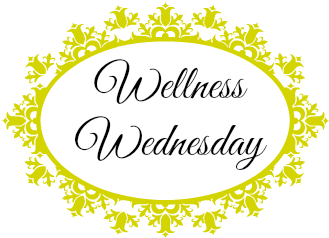 Hello friends and welcome to Wellness Wednesday. As the daylight hours get shorter and the temps a little chillier your mood may begin to mellow. Gone are the long sunny days spent outdoors and you may feel like hibernating at home. Now is the perfect time to indulge the senses with affordable yet comfortable items that will enhance our mood and not break the bank. Having a sofa shawl or blanket is a must-have to grab on a crisp Autumn evening while watching tv or reading. Toss it into the dryer with a sheet of fabric softener for an added indulgence for the senses. Who doesn’t love to indulge with a cup of hot chocolate, especially after a long day of shopping or shoveling snow. Yes, I said the “S” word and unfortunately it will be here before you know it. I used to think that wind chimes were just for the summer but now I keep them out all year long. I love the serene sounds that they make and unless there’s a howling winter storm it does have a calming effect. I have several types, bamboo, glass and metal, which I change from season to season. Do you remember the DIY article that I wrote for Parade Magazine? I love the scent of of warming Potpourri so if you don’t have a pot, put some in a jar with mini lights. Now is also the perfect time to stock up on the summer fragrances to use next year. Last but certainly not least is a Crock Pot. I have several, but when we do break away from the house and travel I like taking a tasty treat. This year before leaving to visit relatives for the holiday, I’ll make a Slow Cooked Apple Pie, then leave the Crock Pot as a gift to them. How do you like to Hibernate at Home? A blanket, some hot apple cider or mulled wine, and some popcorn…works for me! In my recliner near the window, just in case I want to look at the snow, if not I can close the blinds. I will have a good book, preferably a mystery, wrapped up in a quilt and sipping on a hot beverage. I know…I have to admit being indoors during a snow storm is nice, even though Blake makes us come out and shovel snow! I love this type of weather and the crock pot, hot coco and blanket are definite must-haves for this season. Nothing like snuggling up to watch a movie with a nice warm meal, cup of hot chocolate with marshmallows and a blanket. I know and as much as I hate to admit it…I do enjoy staying indoors on the weekend! Great ideas! I love to snuggle in my sunggie. oh, I know you and the girls have wonderful winters together. Well enjoy this Autumn weekend which is supposed to be marvelous. Malik is coming home today – yay!